Admitted in 1980, Aled is a Member/Partner with extensive experience in many areas of practice including, Employment Law, Wills and Probate, Civil Litigation and Criminal Law in which he is a member of the Accreditation Scheme. Aled is also experience in Mental Health and Incapacity Law and is a member of the Mental Health Review Tribunal Panel. Aled sits as a Deputy District Judge in the Magistrates Court and has considerable experience of defending clients in criminal cases and road traffic offences. Aled is based in the Bangor office trading as Elwyn Jones & Co and was one of the Partners in the original firm with the late Huw Elwyn Jones. Admitted in 1981, Nia is a Member/Partner in the firm and has extensive experience in all family matters including divorce, injunctions, children and financial matters. She is a member of the Law Society Family Law Panel. Nia also has extensive experience in Civil Litigation, property matters including buying and selling houses, wills and probate. She provides advice and representation to clients eligible for public funding (Legal Aid work), is fluent in Welsh and can provide a full bilingual service, including advocacy. Sion achieved his academic and professional qualifications at the Univeristy of Wales, Aberystwyth and the College of Law, Chester. A Member/Partner in the firm, he has been a practicing solicitor for over nine years and has a particular interest in property matters, including conveyancing and family matters including divorce and children proceedings. Euros joined Parry Davies Clwyd-Jones & Lloyd LLP in October 2013, having studied Law at Cardiff University before completing his LPC at the University of Law in Chester. Euros is a Trainee Solicitor and is predominantly based at our Bangor office. Euros specialises in buying and selling residential property, Wills and Probate and can also give advice on and preparing Lasting Powers of Attorney. He can also assist with family and matrimonial matters such as divorce, child contact and financial affairs. A fluent welsh speaker, Euros can provide a fully bilingual service. Lisa is an Assistant Solicitor predominantly based in our Caernarfon office but who also, by appointment, works from our Llangefni office. Lisa specialises in buying and selling residential property, Wills and Probate and is particularly proficient in advising on and preparing Lasting Powers of Attorney. She can also assist with family and matrimonial matters such as divorce, child contact and financial affairs. A fluent welsh speaker, Lisa can provide a fully bilingual service. Lena is a Member/Partner in the firm based mainly in our Caernarfon office. She has considerable experience in family law matters including, divorce and financial affairs, contact and residence applications for children, co-habitation disputes and is a member of Resolution. She is also experienced in residential and commercial property sales and purchases, commercial leases and Landlord and Tenant matters and Wills and Probate. Lena is also fully bilingual. Geraint is the Senior Member/Partner of the Firm and has extensive experience in Civil Litigation to include Personal Injury cases, conveyancing, Wills and Probate gained from over 25 years of practising Law. He sits as a Deputy District Judge and also as President of the Mental Health Review Tribunal for Wales. He is fully bilingual and serves on a number of Committees and he is the immediate past President of the Gwynedd Law Society. Geraint has a large and wide client base in Gwynedd and Anglesey, having acted for generations of family members over the years in particular farming and welsh speaking clients. Catrin, an Assistant Solicitor, specialises in family law which includes divorce proceedings, child contact and co-habitation disputes and domestic violence matters. She also has several years of experience acting for parents and grandparents in child care proceedings,residential conveyancing, wills and probate. Catrin is fluent in Welsh and can offer a fully bilingual service. Dafydd is a Trainee Solicitor and is predominantly based at our Pwllheli and Llangefni offices. 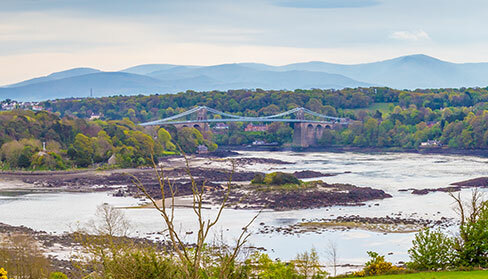 Dafydd specialises in buying and selling residential property, Wills and Probate and can also give advice on and preparing Lasting Powers of Attorney. He can also assist with family and matrimonial matters such as divorce, child contact and financial affairs. A fluent welsh speaker, Dafydd can provide a fully bilingual service.